[PDF] Research Methods for Education, second edition | Free eBooks Download - EBOOKEE! Description: Research Methods for Education, Second Edition takes the student by the hand and guides them through the complex subject of research methods in an engaging, witty and clear way. The book covers the philosophical approaches and epistemology, as well as the practical aspects of research, such as designing questionnaires and presenting conclusions. 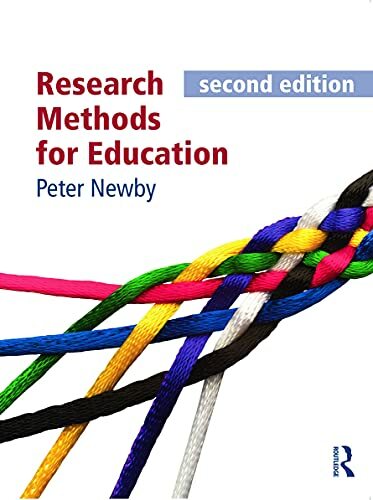 Each chapter is split into 'Context' and 'Practice' and both sections are packed with exercises, examples and comparative international material from other educational contexts, Peter Newby's book is the student-friendly text which demystifies the research process with clarity and verve. Key features: -written in a clear and friendly manner to help students feel more confident dealing with the complexities of research and particularly useful for those new to research or less confident with numbers -a mixed methods approach, which doesn't simply prioritise quantitative or qualitative methods, allowing for greatest possible coverage contains guidance on analytic procedures that require more advanced tools such as SPSS and Minitab -many excellent international examples and case studies specifically from education, which breaks away from a parochial focus on UK education system. No comments for "[PDF] Research Methods for Education, second edition".